Adverse drug reactions (ADRs) are the leading factors of drug attrition in drug development and post-market drug withdrawal. The identification of potential ADRs can help prevent the failure of drug discovery and improve development efficiency. Furthermore, elucidating possible ADRs for known drugs can help better understand the mechanism of drug actions and even find new indications of old drugs. Unfortunately, only the ADRs of some well-studied drugs are available and our knowledge about ADRs of available drugs is far from complete. 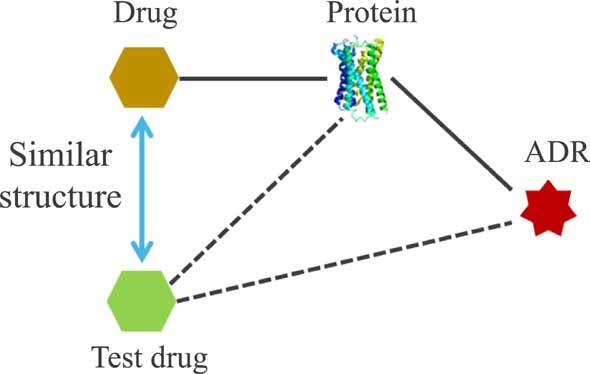 Recently, with more structural and omics data available, some computational approaches have been developed for predicting drug ADRs. In this review, we present a survey on the recent progresses on computational methodologies that have been developed for ADR prediction based on various kinds of data, and some ADR related resources are also introduced. Adverse drug reaction, Side effect, In silico prediction, Molecular structure, Molecular circuit, Heterogeneous network. Department of Computer Science and Technology, Tongji University, Shanghai 201804, China.